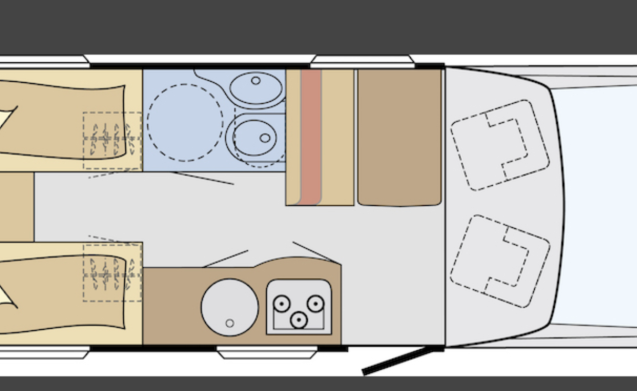 Nice camper with automatic transmission and single beds or king-size bed! 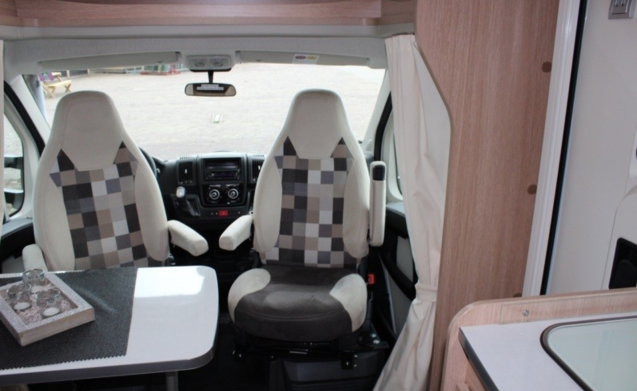 This nice half-interal camper is with automatic gearbox. 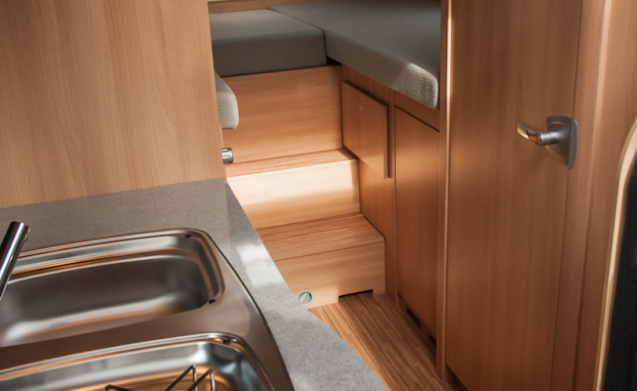 The camper has a spacious panaroma roof and two roof hatches. 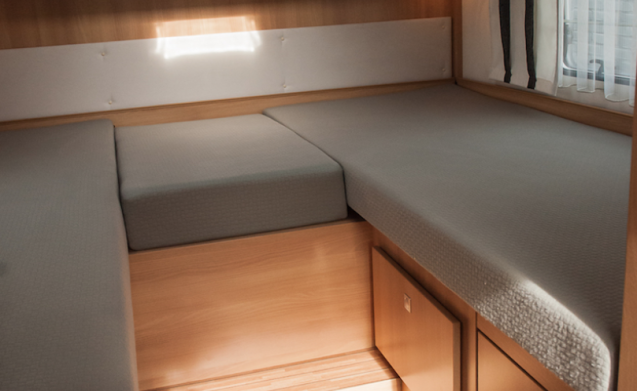 This makes it a light camper. 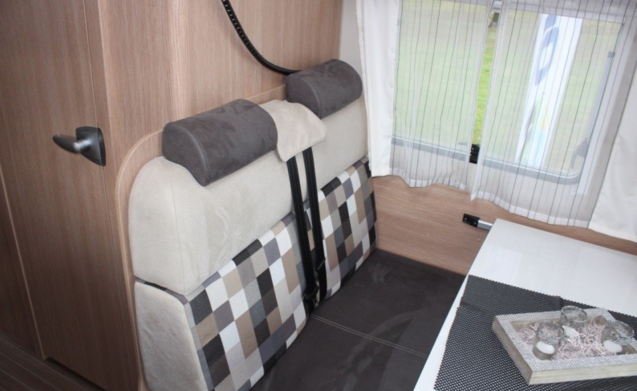 By turning the front seats you can create a spacious seating area for four people. The kitchen is equipped with a 3-burner gas appliance, fridge-dirty combination, and sink with mixer tap. 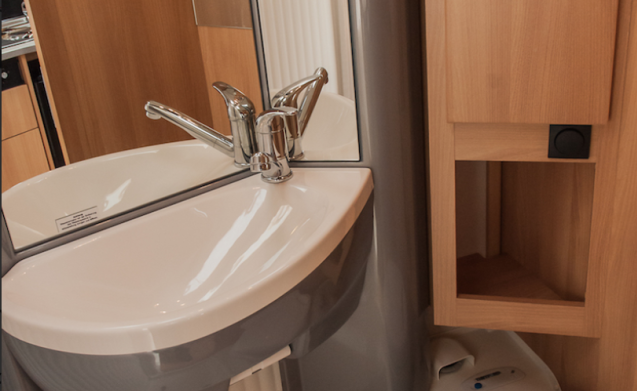 The bathroom has a toilet, sink with mixer tap and shower. 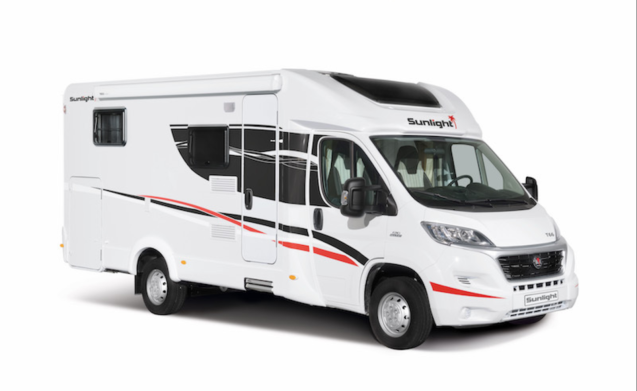 This motorhome is equipped with air conditioning and cruise control, comfortable swivel pilot seats, bicycle rack for 2 bicycles, awning, radio / CD player, refrigerator 12V / 220V / gas, central heating, electrically operated windows and mirrors, windows with screen and screen curtains, screen door , plenty of storage options including a spacious wardrobe and garage, clean and dirty water tank.